Danielle has dedicated the majority of her life to the study and practice of the healing performing arts. She focuses her experience and attention on the cultivation and magnification of loving light through creativity, vitality, and inspiration as it pertains to the nexus that exists between health, beauty, and art. Danielle is a Reiki master teacher, a licensed aesthetician, a sound healer, kirtan wallah, and yoga teacher. Michelle’s interest in skincare started at a young age when her mom showed her the ropes as a beauty consultant. “I would watch my mom go through the cleansing steps and makeup rituals everyday and I was hooked,” she says. Learning about the skin’s biology and product chemistry piqued Michelle’s interest further. After a stressful career as a political journalist, she followed her lifelong passion and studied esthetics at the Aveda Institute in Chapel Hill. Receiving her license in 2008, Michelle has chosen to work at spas that emphasize a holistic and Ayurvedic approach—places that support skincare lines that nourish and replenish from within. Michelle’s clients truly enjoy her nurturing and calming touch as well as her ability to bring them to a blissful state of relaxation. 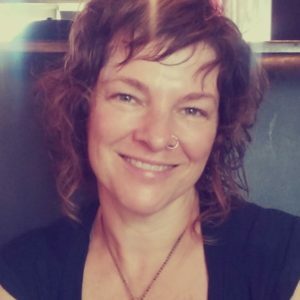 Jenn, licensed massage and bodywork therapist, has always believed in the body’s innate ability to heal itself, given the proper tools. Since she is passionate about movement, nature, and whole foods, it just made sense to find ways to share these ideas with others. After graduating from Body Therapy Institute in Silk Hope, her main field of study has been structural therapy. 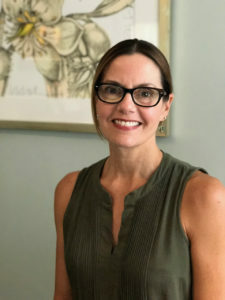 With a certificate in advanced myofascial techniques, she finds restrictions and systematically unwinds them, aiding her clients in achieving a sense of ease in their bodies. Originally from New York City, Fay graduated from the Swedish Institute of Massage almost twenty years ago. Her first and most favorite job was at the Aveda Institute, where she learned the significance of aromatherapy and also taught infant massage classes. 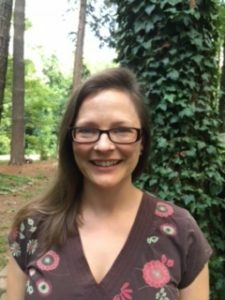 In 2014, Fay moved to idyllic Saxapahaw and has found true happiness with her mister and a dog named Leo. She believes most people in today’s society need relaxation before anything else. Her specialty is a firm Swedish massage with special attention to the feet and scalp. Sometimes you will find Fay working our front desk, where she will ensure you have the best spa experience possible. Andy completed his massage therapy training through the Body Therapy Institute in Siler City in 2013. He has also been trained in Neural Reset Therapy (NRT). He is passionate about the amazing capabilities and astounding results of using NRT. He works to improve clients’ health by resolving the root of their issues, not simply to treat symptoms. If the root is unresolved, the symptoms will return or evolve into different issues. 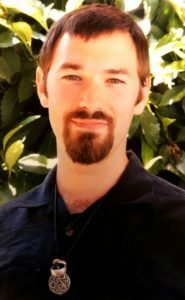 Andy’s life has been focused on educating and helping others in various ways, shaping lives through compassion, creativity, and care. He strives to individualize each massage session through observations and assessments, with the intention of meeting or exceeding every clients’ goals and needs. His mission is to improve the quality of life for each person he touches. Sara has always held a fascination for the human body. What began as intrigue into the physical workings of our many systems and functions soon became an awe for the physical, spiritual, and mental potential of each individual. The capacity for change and growth within us all continues to fascinate her in her work as an LMBT. 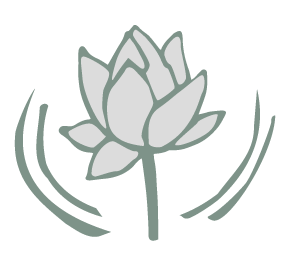 Sara believes we all have the potential to function with less resistance and greater ease in all areas of life. As an LMBT, she aims to support each client as they uncover the tools they need to reduce the resistance and increase the ease they experience in their daily lives. Ren is a Licensed Massage and Bodywork Therapist, Certified Integrative Reflexologist, and graduate of Body Therapy Institute. In her own life, she has found bodywork to be an integral part of self-care. Nurturing the physical body calms the mind and revitalizes the spirit. She feels it is important to work with the body and uses breath work to help her clients soften and relax. This allows her to work deeply, but gently. She endeavors to leave each client more grounded, centered, and aware of themselves. Carey is passionate about healing. After years of receiving (and benefiting from) various forms of bodywork, she realized that this is work she wanted to do. She graduated from Body Therapy Institute in 2011 and has training in Cranio-Sacral Therapy through the Upledger Institute. She loves working with clients in need of deep relaxation. Her specialties are working with issues of the head and neck (headaches, migraines, TMJ syndrome, etc.). She is happy to work with the talented team at the Hillsborough Spa and Day Retreat and honored to share her gifts with you. Theresa chose a career in massage therapy after experiencing the benefits of regular massage for herself. 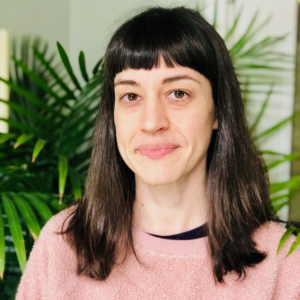 As a massage therapist, she realized that how you use your body through the day creates holding patterns in muscles and connective tissue that can cause pain. This can be addressed and repatterned through massage and body awareness. A licensed massage and bodywork therapist since 2009, Theresa works with clients to recognize these movement patterns and bring relief through a combination of deeper therapeutic and relaxation techniques. 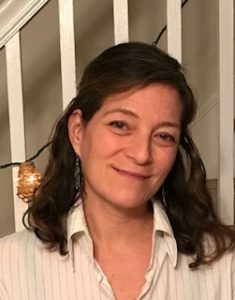 She was also an instructor at the Body Therapy Institute for five years and is thrilled to be working with former students who are now colleagues at Hillsborough Spa and Day Retreat. As a yoga teacher for the past 20 years and with a background in managing people and business, Dara has been happily taking care of people most of her adult life. Through movement or management, she truly enjoys creating a special environment within which she can connect to those she is serving. She has always believed that experiences are more valuable than things and that what we exchange with one another is often our greatest gift. A self described worker-bee, she has a hard time sitting still but has recently had profound moments of stillness and peace in the spa sauna and steam room. 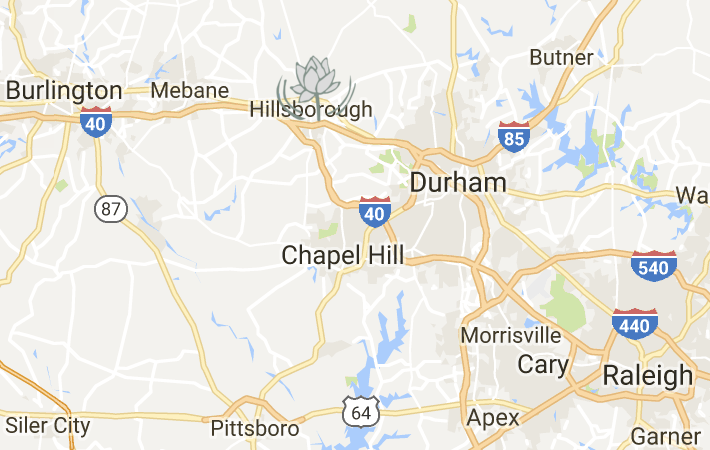 Hillsborough Spa and Day Retreat is locally owned by Lies Sapp and Sage Rountree, owners of the Carolina Yoga Company (Carrboro Yoga, Durham Yoga, and Hillsborough Yoga) and Carolina Massage Institute, beneath the spa. After years of gratifying research at spas around the state, the country, and the world, we are delighted to share this beautiful space with you. We created a spa that reflects our personal taste and deep appreciation of the balance to be found in stillness. We hope you love it, and we are eager to hear your feedback. Please write us at info@hillsboroughspa.com any questions or comments.